F or someone long hailed as the heir to country-rock legend Gram Parsons, Ryan Adams, who shares Parsons' birthday, has some very unlikely fans. Case in point: a drunk young man in sunglasses waiting for a concert at the Berkeley Community Theater last summer, wearing only a huge American flag as a presumed tribute to the singer's breakthrough Gold album. "They say he's clean, but I don't buy it," the fan said about Adams' new-found sobriety. "If he's not doing heroin, that's cool," he continued, with all the enthusiasm of a frat boy before a toga party. "But I hope he's hammered tonight." Yes, the inebriation of Ryan Adams, who plays San Rafael's Marin Center Jan. 23, is legendary. The former Whiskeytown frontman has, for many, become the modern-day equivalent of the Replacements, an elegantly wasted persona that contrasts and complements a wealth of outstanding music. Bay Area fans certainly got a taste of this at the infamous Palace of Fine Arts show in 2006, where Adams drunkenly butchered Grateful Dead songs with guest Phil Lesh in a brief, sub-par set infected throughout by his lengthy, near-schizophrenic mumbling. But despite his goofball stage banter that night in Berkeley—which included nonsequitur whispers, repeated interjections of "Aw, snap!" and a lengthy dissertation on his love of Cheez-It crackers—Adams delivered a crackling, seemingly effortless set of new and old favorites that proved his music itself is most worthy of attention. The prolific sensation was back—older, wiser and with confirmed longevity to replace the alt-country poster-boy mystique he passed on to Conor Oberst a few years back. This renewal stems in no small part from the incredible Cardinals, the Band to his Dylan, whose astounding musicianship injects endless jolts of energy into his material. This new synergy helped make last year's Easy Tiger his best album in years and a vibrant return to form reminiscent of Heartbreaker and Gold, sans the filler. Self-editing has never been a strong point for the prolific Adams, who's released nearly 20 records in the last three years, including novelties like his tongue-in-cheek hip-hop album from alter ego DJ Reggie. And Tiger's short running time is a large part of what makes it his most focused, cohesive effort to date. Though a chiefly somber affair lyrically chronicling his recent emergence from addiction, Easy Tiger possesses an underlying sense of hope throughout its ebb and flow of subdued lullabies and bouncy rockers. Brilliantly filtered through Jamie Candiloro's crisp production, Adams regains his footing from the very first song, "Goodnight Rose." "The sun will come up again," he sings before a bittersweet blast of guitar and cymbals, later urging himself, "Go on to bed / The bar is closed." Despite the cheeky "4:20" appearing on Adams' wristwatch on the album cover, the heartbreak is ubiquitous, with Adams "spinning out of control" in "Everybody Knows." On "Halloweenhead," a swaggering rocker laments a "head full of tricks and treats" that leads him "through the nighttime streets." Most impressive is the gentle ballad "Two," in which Adams turns a pop music cliché into a poignant recount of escalating habits. "It takes two, when it used to take only one," he sings, sounding helpless and vulnerable. The recently released Follow the Lights EP further showcases his tight backing unit and brings his navel-gazing up into the realm of his usually charming covers. He sings with tragic authority on a countrified version of "Down in a Hole," the Alice in Chains grave-pit soliloquy, making his thoughtful 2003 cover of Oasis's "Wonderwall" seem nearly as vacuous as his rendition of the Backstreet Boys' "I Want It That Way" at the disastrous 2006 Palace show. Having taken a huge lyrical leap forward, this period is a musically stylistic breather for Adam, who followed 2003's supercharged, punky, glam-rock album (Rock and Roll) with a maudlin, Smiths-like mope-fest (Love Is Hell) in 2004. He's finally perfected his most famous derivation, now boasting a more authentic empathy with the country-western crooners he's always emulated. With two albums already in the pipeline, Ryan Adams won't make us wait long to see if his experimental fancy has survived the darkness as well as he has. 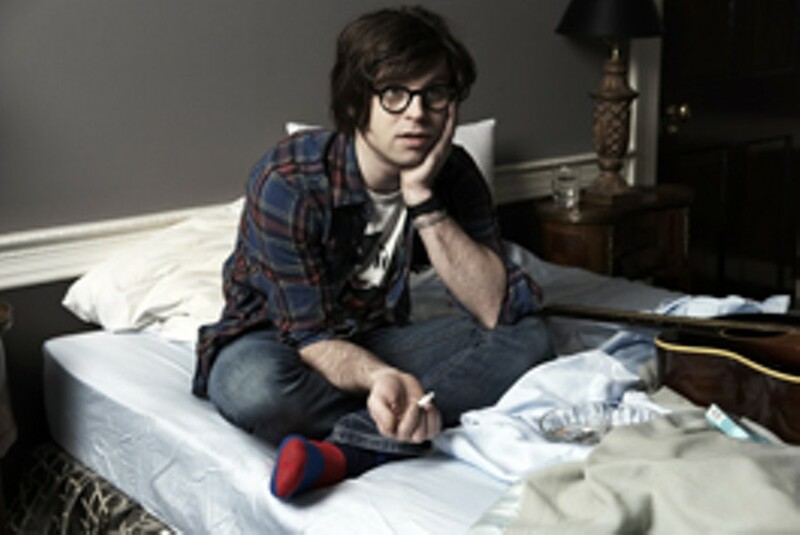 Ryan Adams and the Cardinals appear on Wednesday, Jan. 23, at the Marin Center. 10 Avenue of the Flags, San Rafael. 8pm. $38.50. 415.499.6400.